These are the best options for watching local channels online in the US. 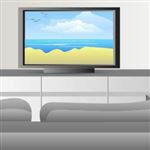 Catch local channels, such as CBS, ABC, NBC, PBS, and FOX, with just your internet connection. We'll also go through how you can watch them on your TV. Read on to learn more about each option, and how you can access them. Do you already have a cable or satellite TV subscription? If you do, you can already stream local TV channels online. With a DIRECTV or DISH account, for example, you can access FOX's live TV stream on their website. All you need to do is log in with your TV provider account. However, not all channels are accessible. Certain channels only work with certain TV providers. It depends on the platform, channel, and cable company too. For example, you can't live stream CBS with a DIRECTV account. But they do accept other TV providers such as DISH and Verizon. DIRECTV is a popular satellite TV provider. It's known for having great sports content - especially if you like football. The NFL Sunday Ticket is one of the best sports packages around. For TV, they offer more than 200+ HD channels, and have a great Genie HD DVR. It can record five streams at once and stores up to 200 HD hours. 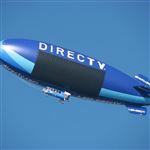 Call (855) 976-6355 for the best DIRECTV packages and pricing. Order new DIRECTV service from USDIRECT (a CreditDonkey partner and DIRECTV authorized dealer) and get a $100 gift card when you mention promo code 110555. DISH is also a popular satellite TV provider. They're known for their affordable TV packages and superb Hopper 3 DVR. It can record 16 shows at once and stores more than 500 HD hours! They've also integrated the Hopper with Amazon Alexa voice commands. Forget the remote - just tell Alexa what you'd like to watch. You can also watch local channels online through Sling TV. It's a streaming TV service, like Netflix or Hulu. All you need is an internet connection. Sling TV specializes in live TV, rather than on-demand content. It's similar to cable or satellite TV. However, do take note that not all local channels are available. Sling TV doesn't carry CBS, the CW, or PBS, for example. Other channels like FOX and NBC are only available in select markets. On-demand content from FOX and NBC is available to all Sling Blue subscribers. You can view a show in the morning after it airs. Other channels depend on your location, level of service, and Sling's rights to distribute local markets. Hulu is another online provider that offers live TV. They currently have CBS, NBC, ABC, FOX, and the CW in several markets. FuboTV offers live local FOX, NBC, and CBS in select markets. If you'd rather not subscribe to any TV provider, here are other ways you can watch local channels online. Some local channels are already available online. All you need to do is visit their official site and start tuning in. Many networks post recently aired shows on their websites. You can visit their site to see what's offered. However, what's available may vary. Some content is free and you can watch it right away. Others might offer a preview period before forcing you to sign in with a paid TV service. Tip: You can watch these channels on your TV too. Simply use an HDMI cable to connect your laptop to your TV. You can pick these up from Amazon for less than $7. Many of these stations also offer mobile apps. You can use them to watch local TV shows on your smartphone or mobile device for free. Tip: You can use your mobile device to stream these channels on your TV too. All you need is a streaming device like Chromecast or Roku. Once installed, you can use them to stream shows from your smartphone to your TV. However, each app works a little differently. We'll go through each app and explain how it works. The CBS app lets you watch full episodes of your favorite CBS shows on-demand a day after they air. If you want live streaming or want to watch their full archive, however, you have to get the CBS All Access Package. The ABC app lets you access their archive and live stream for free. However, in certain places, you'll still need a cable or satellite provider to access their content. NBC's app lets you watch recent episodes of some new shows. Some of the older episodes and shows are available on your mobile device too. However, live stream and full access would need a satellite or cable account. The PBS app lets you watch their content on-demand. They provide hundreds of hours of PBS programming in HD. For increased access, you'll have to make a donation to your local PBS station. This earns you the PBS Passport. Members can access the Passport library, which has more than 1,000 episodes from popular shows. The FOX app lets you stream some shows a day after the original date. But you'll only get full access with a paid TV provider account. For local TV shows, mobile apps and official websites by themselves are limited. You do get a few free shows, but you'll need a cable subscription to get full access. To get around it, it's better to subscribe to a satellite or cable TV provider like DISH and DIRECTV. If you prefer to "cut the cord," you can subscribe to a streaming TV service like Sling TV or Hulu too. This lets you access some local channels, depending on your location and market. With a streaming device or smart TV, you can stream these channels on your TV too! All you need to do is pick the most cost-efficient provider for what you want. Hopefully this article has helped you decide. Disclaimer: Opinions expressed here are author's alone. Please support CreditDonkey on our mission to help you make savvy decisions. Our free online service is made possible through financial relationships with some of the products and services mentioned on this site. We may receive compensation if you shop through links in our content. The Ultimate Fighting Championship (UFC) is the largest MMA organization in the world. Here's how you can watch the latest matches online without cable. Leave a comment about Best Ways to Watch Local TV Online? It can cost as little as $225 or as much as $2,000 to file a trademark. It depends on the number of classes you need the trademark in and the method in which you register. Share on Facebook "Best Ways to Watch Local TV Online"